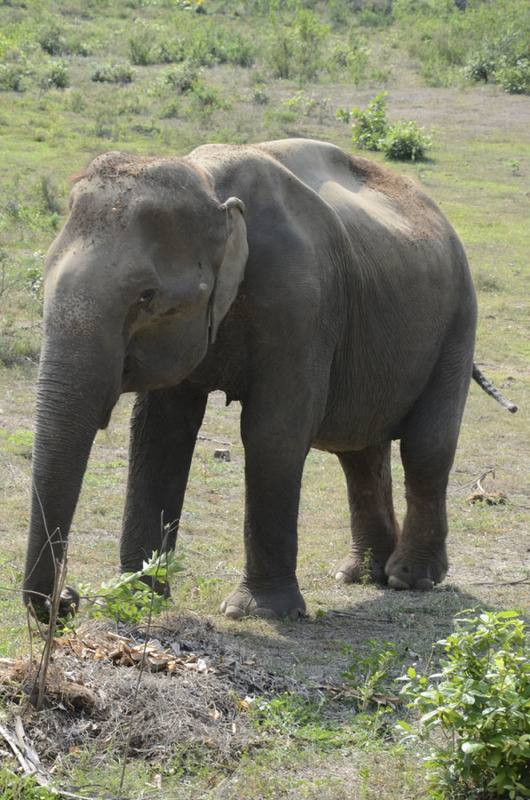 Bow came to ElephantsWorld on April 25th in 2014. She came from a trekking camp in Chiang Mai. Bow was very weak when she first arrived and refused to lie down when sleeping because she was afraid that she would not get back up.It took her awhile to recover but now she is much stronger. Bow leans to the right to avoid putting pressure on her injured left legs and she is blind in her left eye. Her ears and build is much smaller than our other elephants. She is very calm and loves to be fed directly into her mouth. Her favourite part of the day is being washed and swimming in the river. She sometimes spends upto one hour alone in the river.